Today is the day. The all-new 2017 Honda Civic Si Coupe and Civic Si Sedan are on sale today at dealerships in Canada! The two models were announced last month as the 10th generation in the Civic lineup. The duo is described as the most ambitious remake of the Civic model since the first came out. What’s new in the 2017 Civic Si? 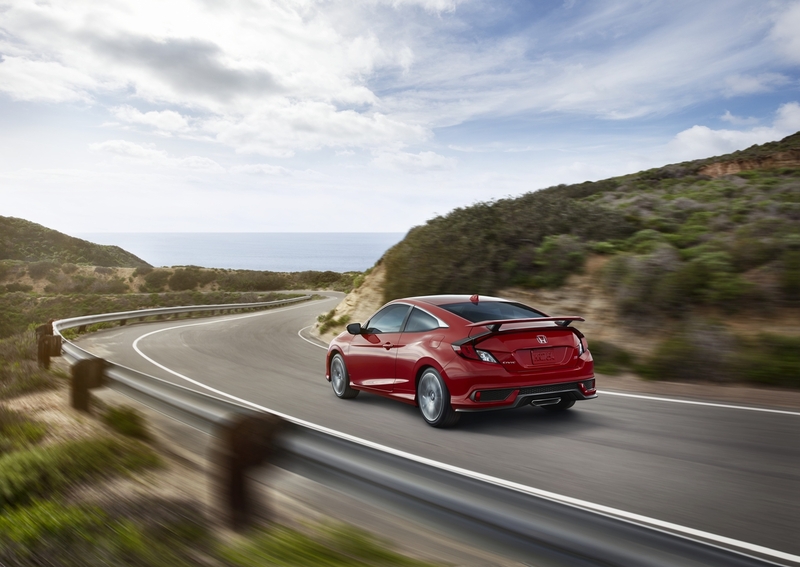 The Civic Si models are Honda’s premier turbocharged Civic. It’s high-performance engine packs more torque and power than any previous Si model. The engine is 1.5-litre, direct-injected and turbocharged DOHC inline 4-cylinder with dual variable cam timing, providing a dynamic and exciting driving experience. The new 2017 Si models have a much broader power band and significantly more torque than any other previous models. The models are also much lighter in weight than previous models of the Si. The curb weight of the Si Sedan is 1,341kg and the Si Coupe is 1,330kg, making them 8kg lighter than the previous generations. Both the Sedan and the Coupe have a much more rigid body, with many upgraded features from older models. The new Si models have an aggressive front fascia, with a gloss black Honda “wing”. The models have large lower air intakes and LED headlights. To add to the sporty styling of the models, they come equipped with 18-inch split 5 spoke alloy wheels, with a machine finish exclusive to the Civic Si models. The Si also has low-profile tires and a chrome center-mounted polygonal exhaust finisher. The Si Coupe shares its full-width rear light bar with the rest of the Civic Coupe generations, adding its own prominent raised wing spoiler to give it a more distinct sporty look. The Si Sedan has its own exclusive rear fascia, while also featuring a decklid wing spoiler that incorporates a LED brake light. The interior of the Si has an exclusive bolstered set of front sports seats that feature red stitching – including stitched in Si logos. The red stitching theme is seen all throughout the interior, through the doors, leather wrapping on the steering wheel, shift boot and sporty leather and aluminum shift knob. The Civic Si Sedan has an MSRP of $28,490, and the Civic Si Coupe has an MSRP of $28,890.